Marvel vs. Capcom Infinite, the latest entry in the series currently in development by Capcom for PC and consoles, has been officially announced last month, but very little is currently known about the game, including the full character roster, which is obviously going to include some returning fan favorites. New characters will also be in, and it seems like Capcom is going to bring some surprising additions to the roster. NeoGAF forums member Ryce, who revealed the Marvel vs. Capcom Infinite 2 versus 2 system before the game’s official announcement, recently talked about the character roster, revealing that an interesting obscure Capcom villain will be in. I know that if I was in everyone else’s shoes and it’s been a month since new information was revealed I’d take any semblance of a hint I could get. To me, the hype train is half the fun of a new MvC coming out. It’s hard hearing something cool about one of my favorite series and keeping it completely secret. I promised not to reveal the character by name or the IP that he or she hails from, but here’s a hint: the character is a villain. I know Capcom has lots of interesting and obscure villains, but that’s all I can say without giving too much away. Ryce also talked about a surprising addition to the Capcom side, an addition which deserves praise for the animators, according to the insider. I just heard about a really surprising (and awesome) addition to the Capcom side. The animators deserve a raise for getting this character into the game. The roster is going to be so sick, you guys. Lastly, Ryce also talked about a recent roster leak, stating that it’s simply fake. That leak is fake. You’re welcome. 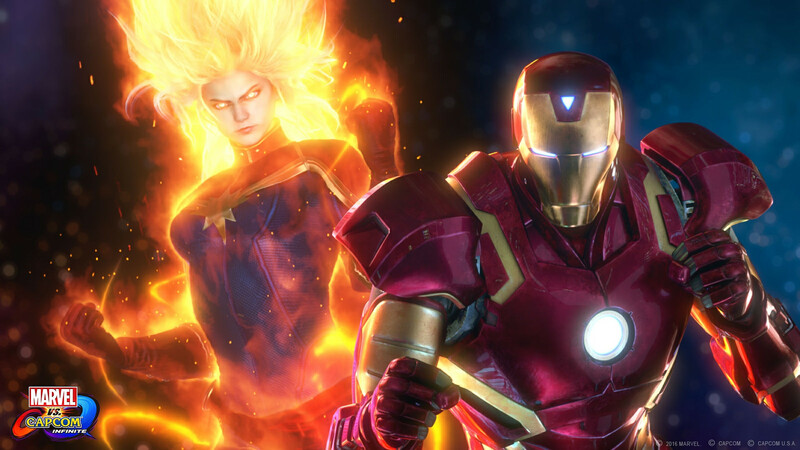 Marvel vs. Capcom Infinite launches in late 2017 on PC, PlayStation 4 and Xbox One. Marvel vs. Capcom Infinite Review – Limited Potential?